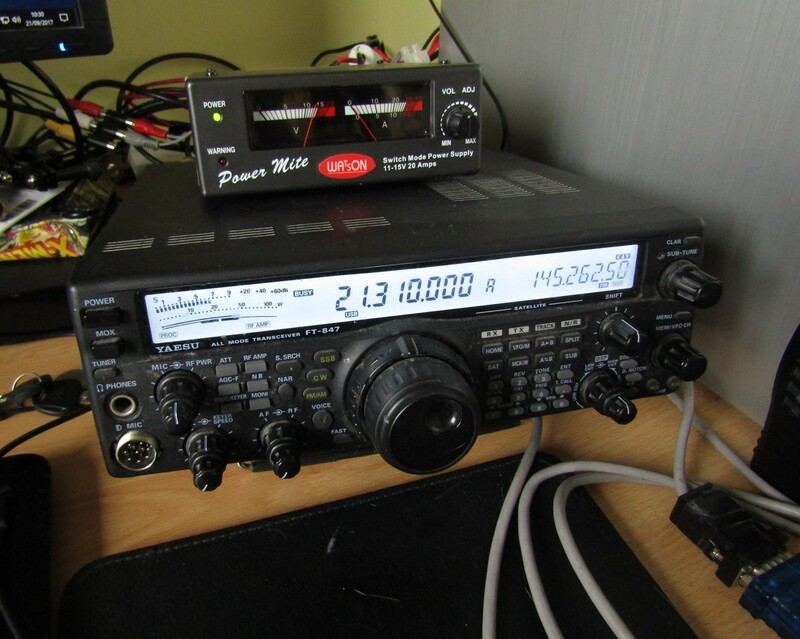 Borrowing an FT-847 and getting back into using some HF data modes at home. Quickly put up a HF antenna along the house under the gutter, with about 8 metres of wire fed through 9:1 UnUn and LDG auto ATU. Data modes interface made from 12v relay board and a few other components. 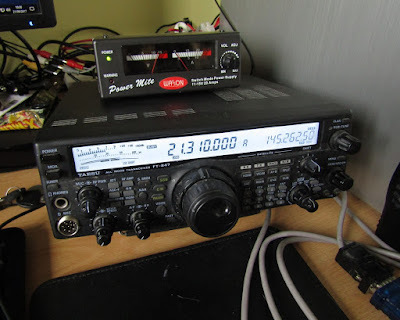 As the FT-847 HF data connection is a 3 pole 3.5mm jack, transmit audio and PTT share the same input. I used an isolating transformer for the transmit audio. 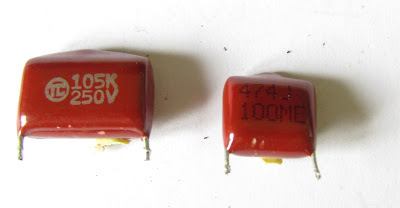 Because of the low current needed to operate the PTT circuit, and the transformer, I had to choose quite a low capacitor value for the audio coupling. 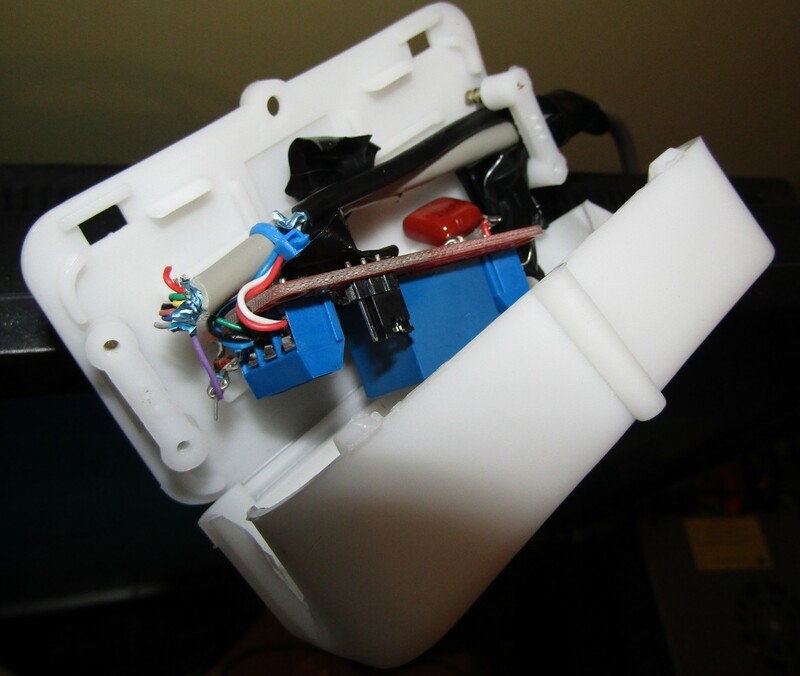 Otherwise the capacitor would charge up every time the PTT contacts opened, drawing current and keeping the transmitter on. 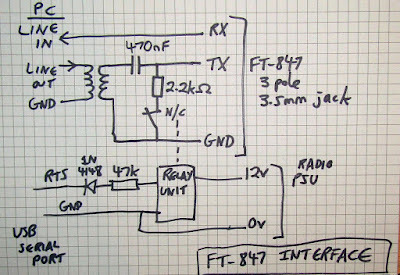 With the first capacitor I had handy, a 150uF electrolytic, it took about 15 seconds to change between transmit and receive, ending with a bit of relay chattering from the 847. I changed to a 470nF which I got out of an ADSL filter. 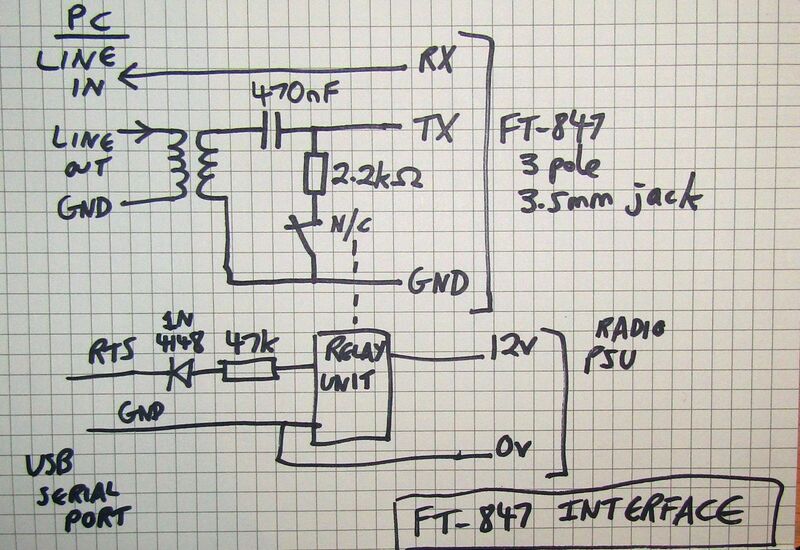 The FT-847 manual shows a recommended 2.2K resistor to pull the PTT circuit low. The 470nF and 2.2K would give a cut off frequency of around 150Hz as a high pass filter, just about right. Here is the circuit. It's not ideal because the relay board has a 'high' and 'low' level input selectable by jumper. 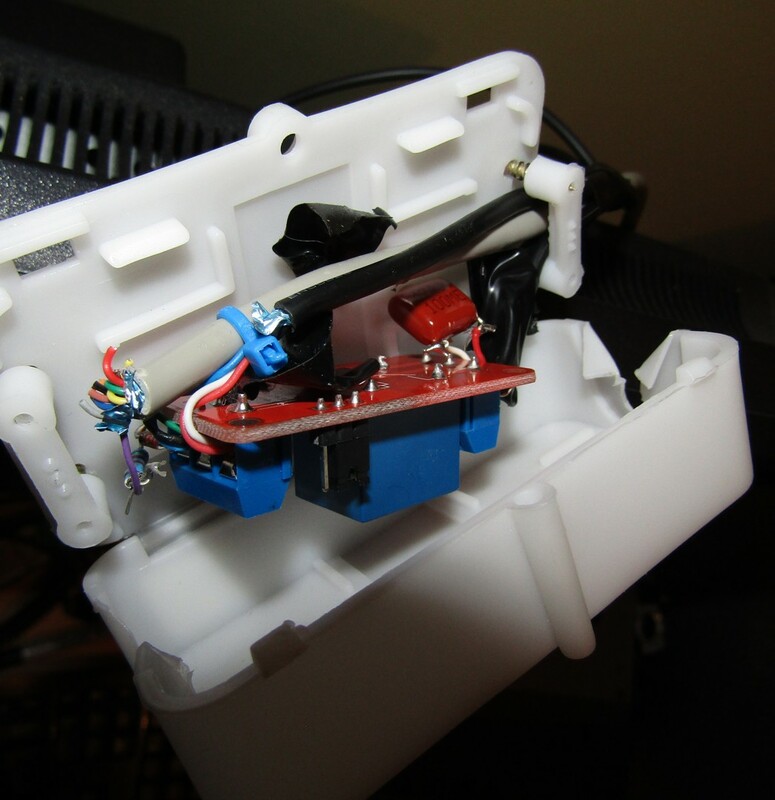 The high level input just connects the input signal directly to the relay coil, which is too much of a load for a serial port to drive. The idle state of a serial port RTS line is negative, so what I've done here is use this to keep the relay held on except when I need to transmit. 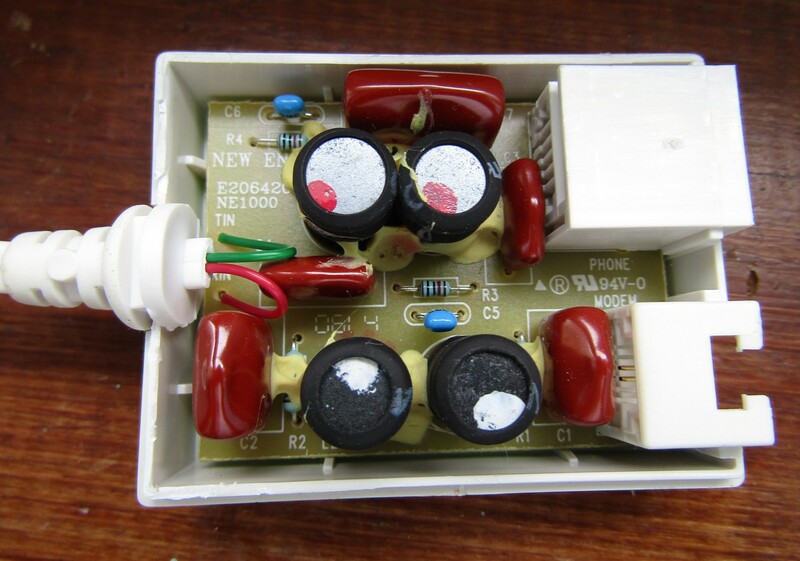 If the PC shut down or the 12v power to the relay board was lost, the radio would change to transmit. But with SSB data modes, unless there is audio AND PTT stuck on (which couldn't happen if the PC shut down), the worst that could happen is a few milliwatts of carrier and noise leaking out. The transformer made a difference on transmit, without it, there was quite a lot of noise along with the wanted data signal.